Relationship development, exclusivity, engagement. 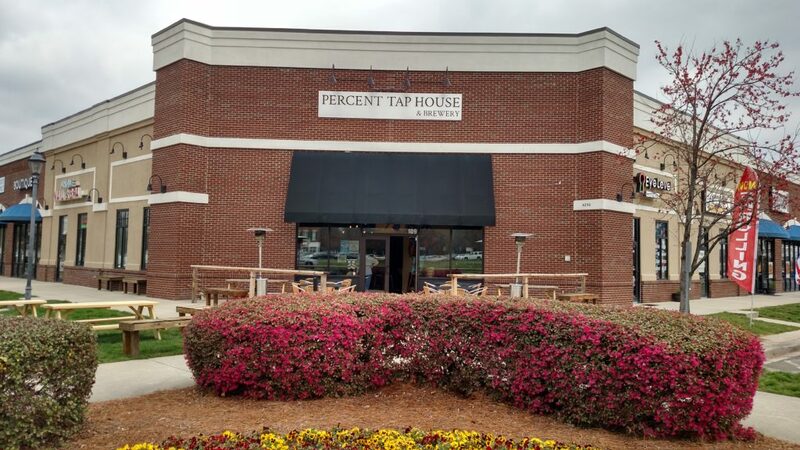 Yes, these may all be recognizable corporate buzz words, but they also play a part at Percent Tap House, located at 4250 Main Street, Suite #109 in Harrisburg. Percent’s four owners share a corporate background that they’re all grateful for in terms of skill-set development, but it’s the humbleness they’ve brought to their place in the craft beer industry, “a small part among the hundreds and hundreds of breweries out there,” that has enabled them to generate a fast following built on relationships, attention to detail and above all, quality offerings. Percent’s draft lineup features some of the most sought after small batch selections, one-offs and limited releases resulting in an absolutely stellar tap list. What’s your secret? Carl: Relationships. That’s something we understand now as business owners, but it was just as important when we worked in retail previously as well as in other businesses. Starting and building relationships was critical prior to even opening. 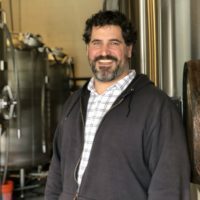 I reached out to a lot of brewery owners and said I was a fan; that I wanted to know more about the history of their brewery; their brewer; their story. I wanted to know: how can we be more? My thinking was that if they can educate us, then we can educate our customers. 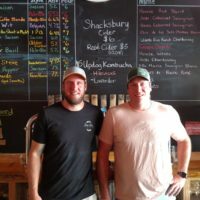 Take Suffolk Punch for example; one of the owners, Seth, lives right here in Harrisburg and when we tell our customers that, their eyes light up, and it may sound funny, but the beer might even taste better if you know the story behind it. 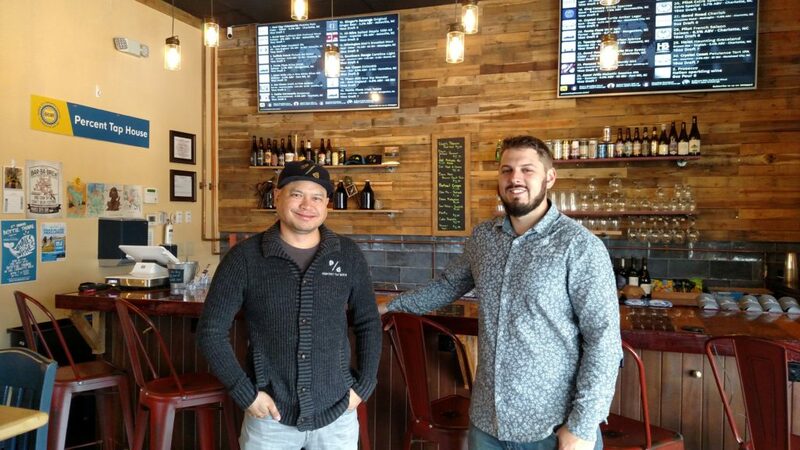 Owner Carl-Jay Castaneda and owner & head brewer, Neil Grassi. The Percent team met and worked together as part of Publix corporate. How did that experience shape the sense of hospitality you have created at Percent? Carl: Well, we think we’re pretty decent dudes to start with, but yes, they definitely drill the customer-first mentality into you. The teachings and trainings like the 10-foot, 10-second rule – where if a customer or associate is within 10 feet of you, you’re trained to acknowledge and engage that person within 10 seconds. We’re all very grateful for that training. Neil: We were all working in different groups and capacities, but there was some overlap at special events like grand openings where we got to know one another. Carl: I remember one event Neil and I attended together where there was some pizza and beer set up for the associates and he nodded toward the beer and said, “That’s what I do.” And I said, “You do what?” [Laughs]. Craft beer became a fixture for us, and as we went out to breweries together, we started sizing up the variety of taproom details that we came across and liked. That’s how we started shaping what you see at Percent today. Plus, it was even more of an eye-opener when Neil told me he’s a third generation winemaker, brewer and that he and his crafty family even make their own beef jerky. 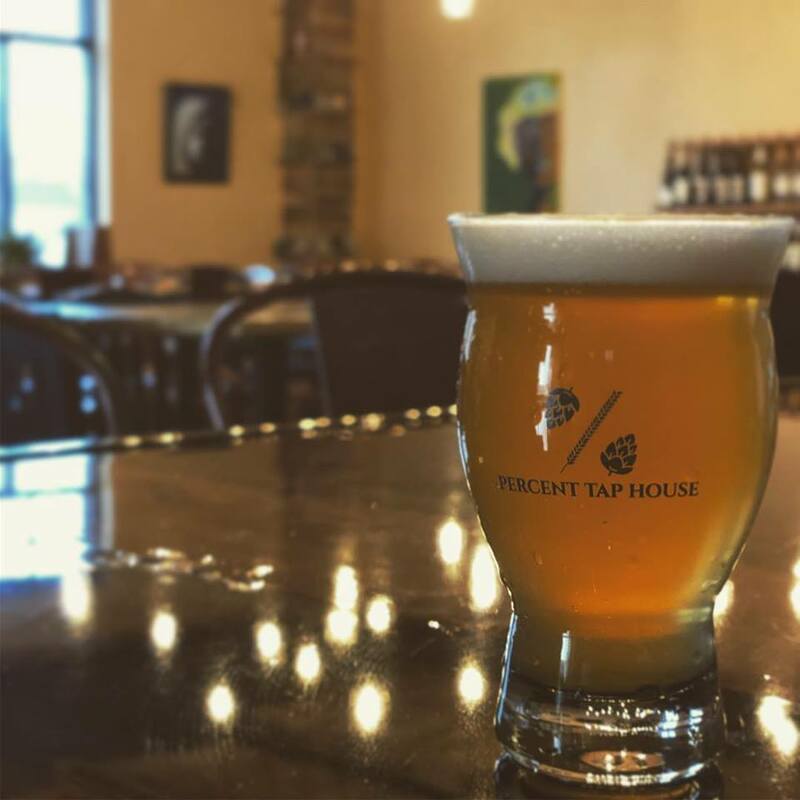 With so many outstanding local beers and ciders on tap, how do you approach Percent’s small batch operations and what are your future goals for Percent beer? Neil: Honestly, we’re doing our best to keep our own beers on tap, and to hear from others that we’re hitting homeruns with our first few batches is something we’re incredibly proud of. We’re pacing at about one barrel per week, week and a half – off our 1-barrel brewhouse – so as soon as a batch is finished fermenting, we’re kegging, cleaning and brewing pretty much around the clock. 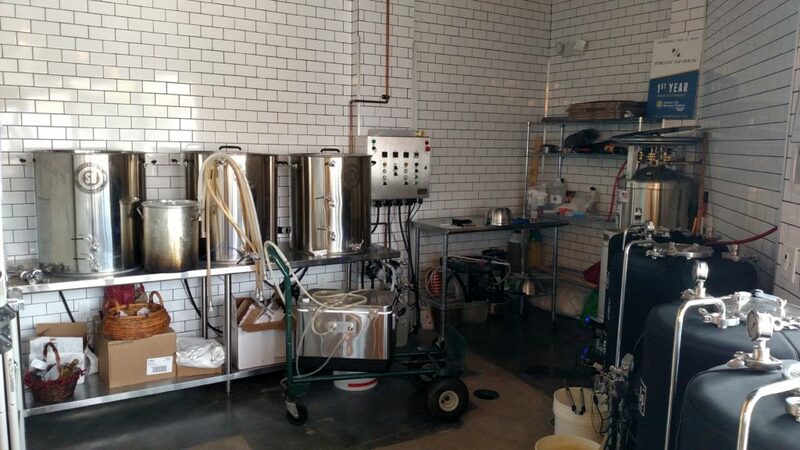 Pretty soon we’ll add a couple 2-barrel fermenters, which will open up double batch brew days. We like the cool, the funky, the juicy so you’re going to see some cool beers from us like a hatch chile mango IPA and a peanut butter and jelly porter are a couple beers we have lined up. At the moment we’ve got a Belgian dark that’s been fermented on pomegranate molasses, which we also brought to QCBF. While we don’t put too much stock into Untappd user ratings, our beers have scored really well compared to the other beers we have on tap, and after just reviewing our inventory, our lineup is 80% exclusive to our tap house or the brewery’s taproom. Carl: Sometimes the brewery doesn’t even have it [laughs]. It goes back to the relationships with various brewery owners. You’ll see us announcing collaborations with King Canary, 26 Acres, Blue Blaze and a couple more that are coming together. We’re also brewing at Pilot and Amor Artis to help keep up with production demands so it’s been truly amazing how receptive, generous and helpful everyone has been toward us. 2-barrel fermenters are on the way to Percent’s small batch brewery operations. You’ve identified Harrisburg as an underserved community that has big upside for growth and development in the coming years. 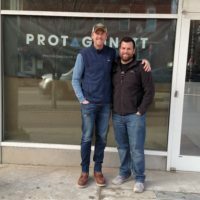 As craft beer gets more and more established in Harrisburg, how will Percent transition from new kid on the block to OG? 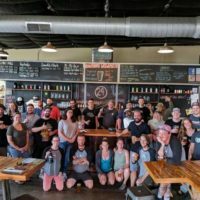 Carl: We saw a need within this community, but still knew that we needed to be unique within the brewing community overall. We decided on this particular concept of small batch and exclusivity, which has turned out to be totally validating with customers coming up from places like Ballantyne and Fort Mill – because we have something exclusive they really want to try. Our mission is to brand Harrisburg as we brand ourselves, and while we may get the occasional, “What is Harrisburg?” [laughs], we are progressively making this community a destination for great beer. 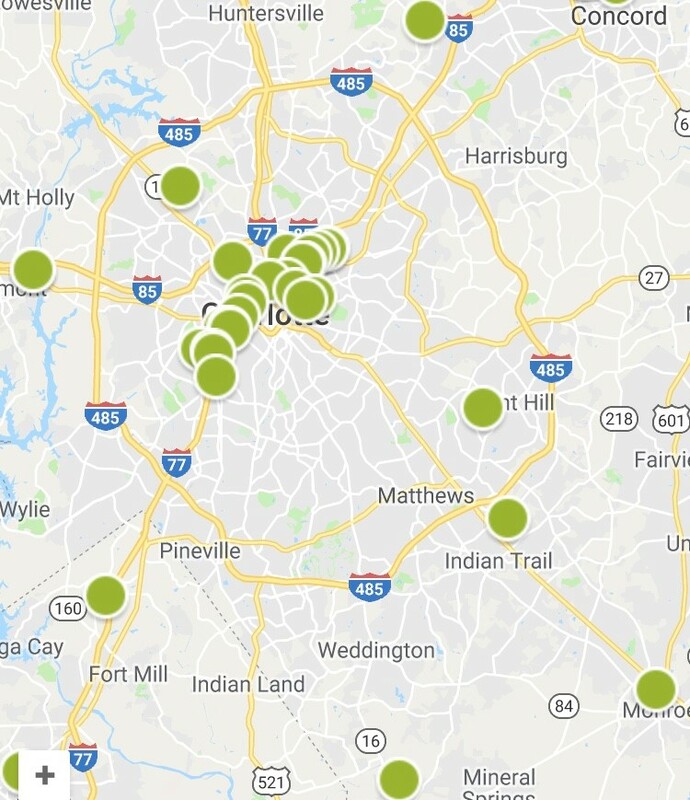 Charlotte’s brewery map as seen March 2018. 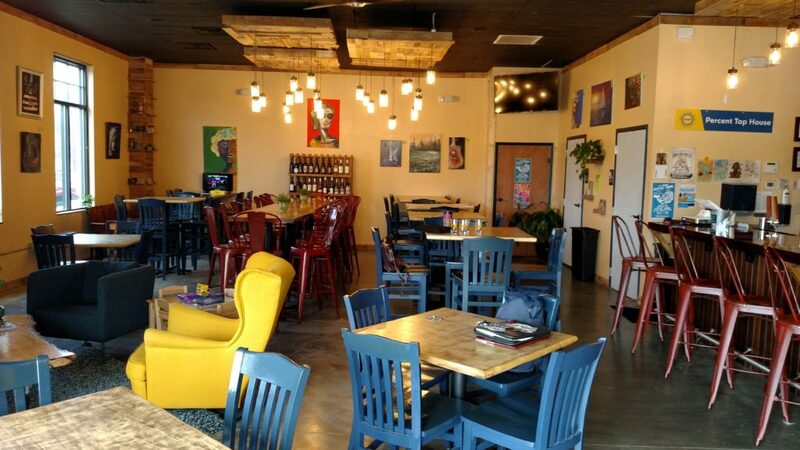 Percent’s vision is to steer beer fans to small town Harrisburg as a destination for great beer. Bonus question: you’ve just finished your shift and now it’s time to enjoy a freshly poured pint. Which selection or style is 100% satisfying to you? Neil: Let me start by saying that we’ve had 260 different, taproom exclusive, local, hard-to-find beers on tap since we opened [at the time] 15 weeks ago. Now, I’ll drink anything and everything, but if the concept blows my mind, I’m all over it. A hazy black IPA? Yeah, bring it on. A black sour? I’m all over that. If it’s a unique concept and it’s amazing, that’s what I’m picking. Carl: To me, it doesn’t matter the style. It’s the recipe that drives the decision for me. What are the ingredients? How fresh is it? That’s how I’m making my decision.